Attention to Detail specializes in the installation of all types of residential and commercial wallpapers, including non-traditional products. 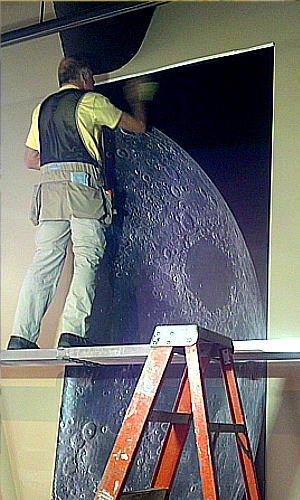 Many of the newer wallcoverings require specific knowledge and techniques, requiring our installers to maintain their expertise through continuing education courses, lectures and workshops provided by the WIA. We work closely with Interior Designers, Architects, Custom Builders and home and business owners, and can provide technical and design input into your projects. Traditional residential wallpapers of all kinds - from pre-trimmed, prepasted papers to hand screened, unpasted custom papers that require table trimming by hand. Specialty decorator products: Examples - Maya Romanoff's "Bedazzled," a glass beaded wallcovering, "Ajiro," a real wood veneer on a synthetic backing, "Torn Paper" by Stoney Brook Papers, and many more. Attention to Detail is not only our company name, but an accurate description of the type of work we provide. 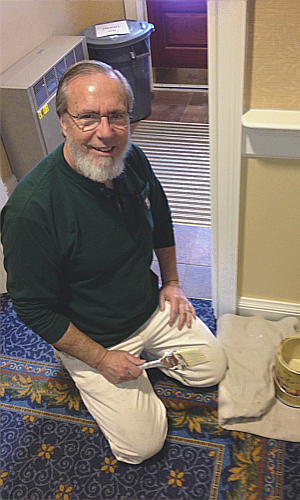 Each member of our team is highly skilled in all aspects of restoration, preparation and finish painting. We pay close attention to "prep work" in order to show the best possible finish work for the surface. From start to finish, each project is carefully set up, prepared and finished using the best materials for the job and always producing the highest quality workmanship. We take pride in making sure that our visit is pleasant for our customers and always leave the work sites sparkling and clean. We offer a variety of specialty finishes such as glazing (faux), antique/distressing, staining, faux wood graining and more. Detailing for that fine crisp look is our specialty! 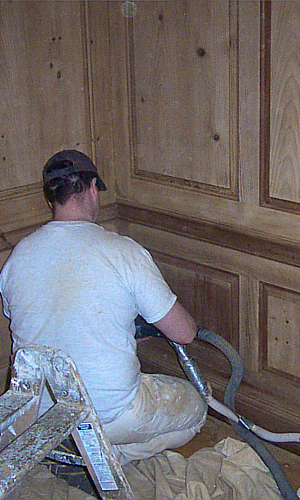 Our company is well trained in the art of wood staining and top coat applications. The key to producing a "furniture-like" finish is in the surface sanding and cleaning as well as a thorough knowledge of different species of wood and how it takes the stain. 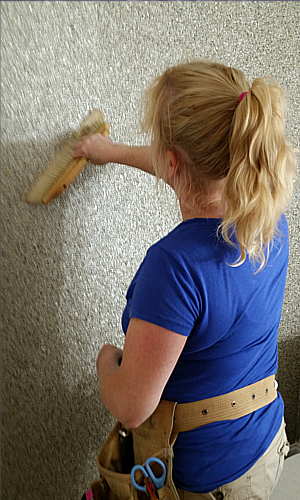 Our master painters have a sharp eye for color and can custom match when needed. Each layer of polyurethane or top coat is carefully sanded and cleaned using tack cloths between coats for an optimal glass like finish. Clear coating with waterborne finishes such as AquaZar Antique Flat or Satin and also Ronans Dead Flat waterbased urethane. Refinishing of cabinetry, furniture and trim/woodwork. The owners of Attention to Detail are all expert wall covering installers, each with over 30 years of specialized training and field experience. We are certified by the Wallcovering Installers Association and attend regular workshops and seminars for continuing education. We can help you lay out and engineer your wall coverings for the best possible look to fit the room. We also offer light carpentry including molding installations, repairs, enhancements.